On Thursday oil quotations are falling after the information from the OPEC about the production increase to an unprecedented level for 8 years. The United States released the data regarding the increase of the reserve stocks. To the beginning of the day the oil Brent contracts have cost $ 51.42 per barrel. It is 0.75 percent less than the mark at the closing of the previous session. Contracts for the US WTI crude oil have fallen by 0.84 percent, amounting to $ 49.76 per barrel. According to traders, the pressure on global oil markets is explained by a message from the OPEC. 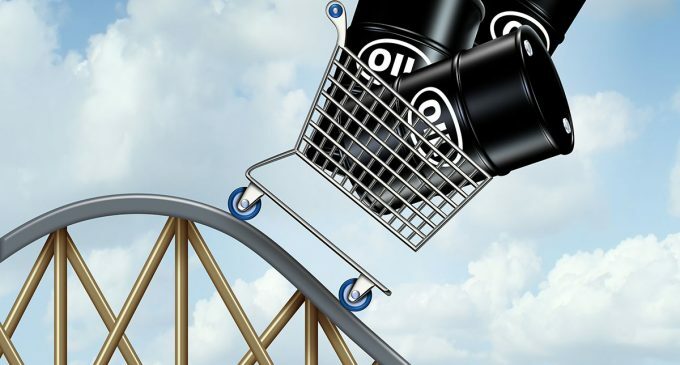 The message states that the oil level is increasing, despite the fact that the organization is planning to cut the production in order to fight with the surplus of raw materials. On the eve the OPEC released a report on the growth of the production for the first month of autumn to its highest mark for 8 years. The organization also increased the supply growth forecast in 2017 from the countries that do not belong to the OPEC. This is a clear sign that next year the probability of the world glut is high. According to the OPEC, the cartel’s production in September amounted to 33.39 million barrels per day. This figure has risen to 220,000 barrels per day vis-a-vis August. According to the information from the American Petroleum Institute, the reserve stocks of oil in the US rose by 2.7 million barrels, reaching 470.9 million for the week that ended on 7 October. The indicator has showed the growth for the first time over 6 weeks.